Come and celebrate the new poetry collection by Christchurch poet and Flash Frontier editor Gail Ingram, illustrated by Rata Ingram. 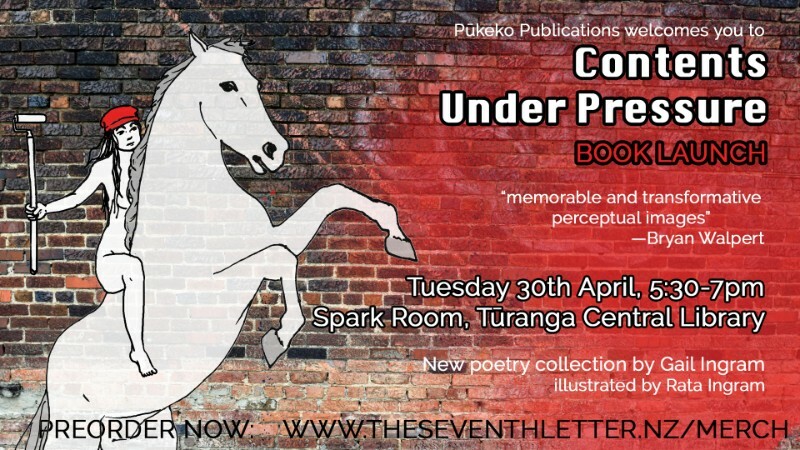 Contents Under Pressure is a poetry collection that tells a story of a mother-turned-graffiti artist in Christchurch. 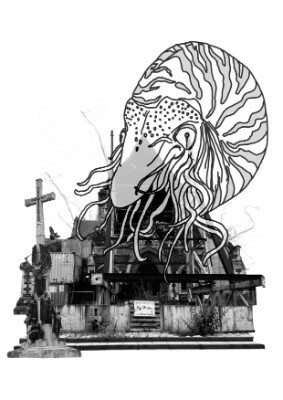 It blends poetry, narrative and collage, and is complemented by collage-style illustrations. Thought-provoking and unsettling, this book takes a fresh look at the effects of the Christchurch earthquakes on a mother of teenagers who experience mental health and drug issues as they grow up during a disaster. Years after the Christchurch earthquakes, the breakages continue. A young physics student is falling apart. His mother takes to the streets at night, tagging her rage and anguish onto the city’s walls. Their story is raw, painful, brave and at times strangely hilarious. Language is shattered in these pages, street art conjures up the nightmares. There’s energy to burn here. Many will feel a tug of recognition as they read. It’s all part of our shared history. Gail Ingram has pulled off something special here. The collection offers a freshness of style and vision. The poems are packed with original, vivid imagery, often visually striking and, to my ear, pitch perfect. They accrue narrative power as the collection progresses. The sequence explores themes of connection and disconnection, subtly advocates for the place of art and language in witnessing the effects of trauma and in providing routes to recovery. splattered with spun-patterns of river-mud. white burr on the retina. The press applauds. a weed scratching sounds in the wind. looked to be forming clumps of grey matter. slid into fissures of grey, the university, billboards, shops. creating their own fuzzy pathways around the city. Amount: $25. NZ preorders before 30 April 2019 receive free p&p! Email your name and postal address to gailzingram@gmail.com. For overseas orders, email gailzingram@gmail.com.